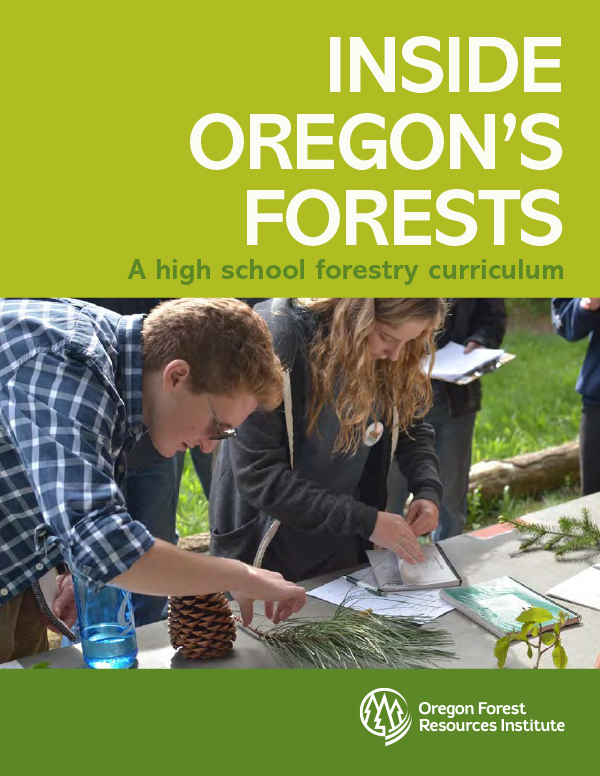 Created primarily for agriculture science and technology teachers, Inside Oregon’s Forests includes 12 weeks of lessons covering the history of Oregon forests; tree biology and forest types; the environmental, social and economic importance of forests; forest management; wildfire; and more. The curriculum comes as a 316-page, spiral-bound book. The package includes lesson plans, labs and other activities plus a variety of related documents and videos. It was assembled by a professional curriculum writer and conforms to new state standards in math, science and literacy. Biology and environmental science teachers have also expressed interest in using the curriculum.